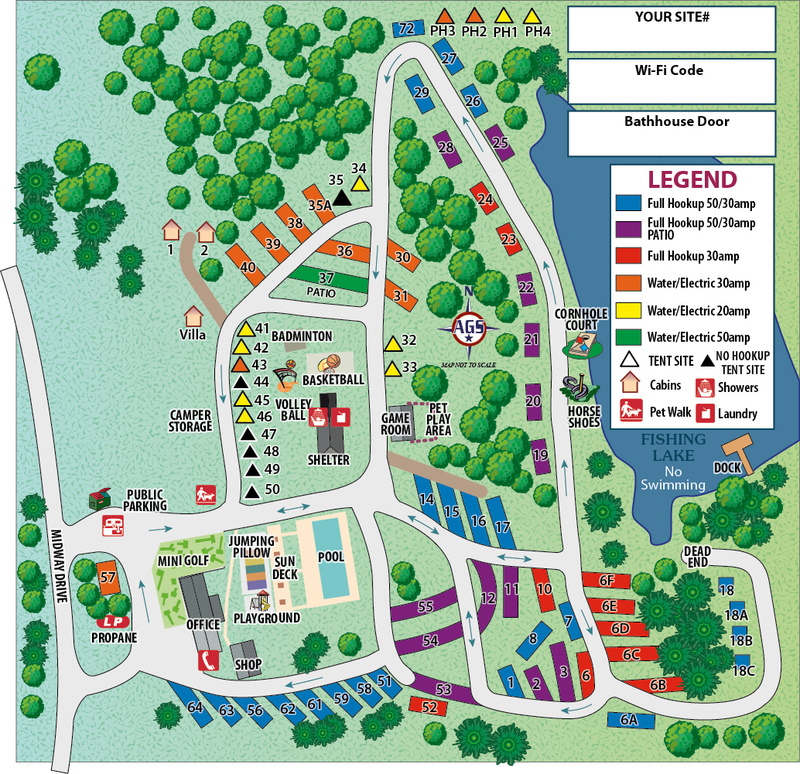 Below is our 2018 site map. Check the legend for site type by colors. Blue sites are 50/30 Amp full hookup site, Red sites are 30/20 Amp full hookup sites. Click on the link below to download our map.